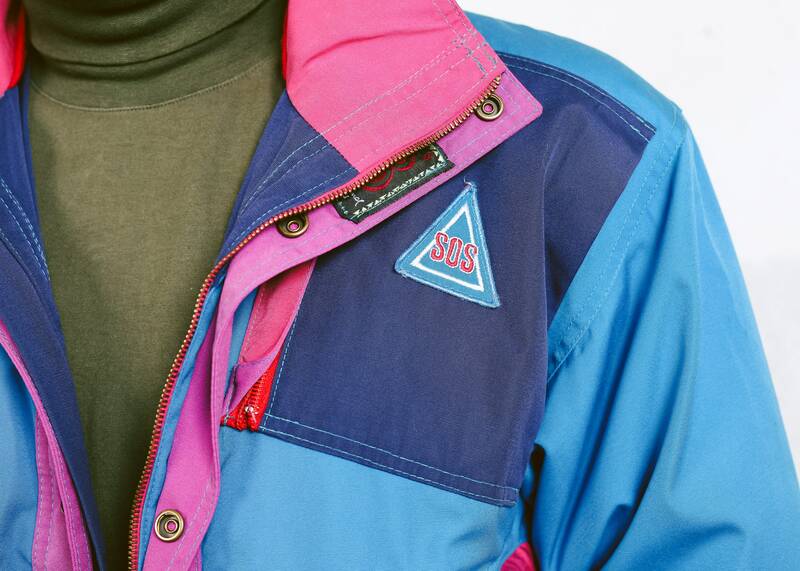 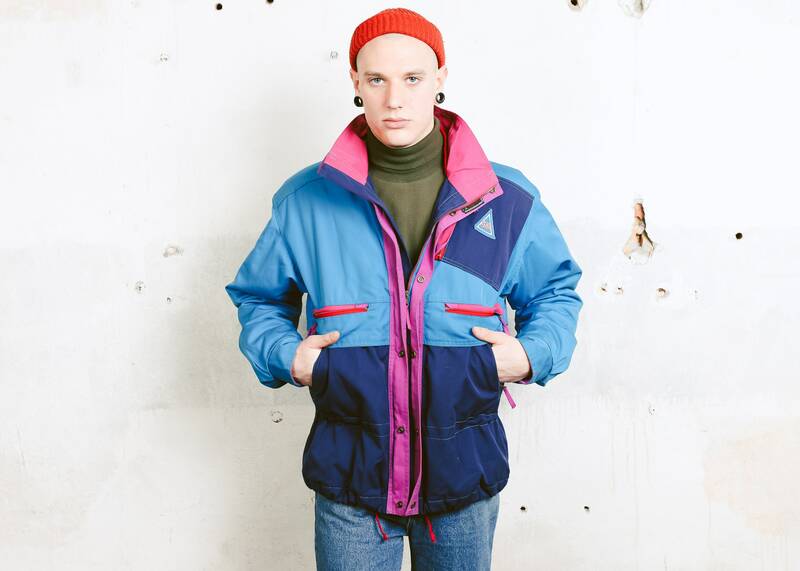 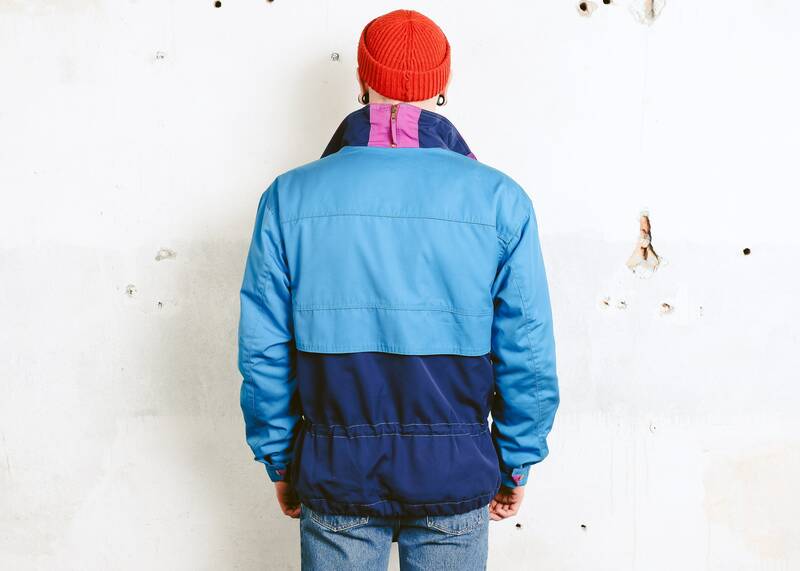 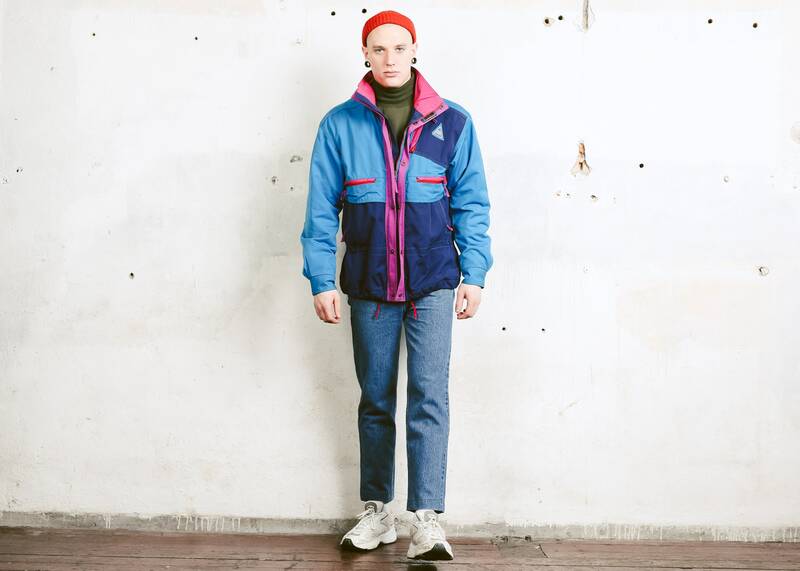 An impressive vintage 90s bold colourblock ski jacket in blue and purple. 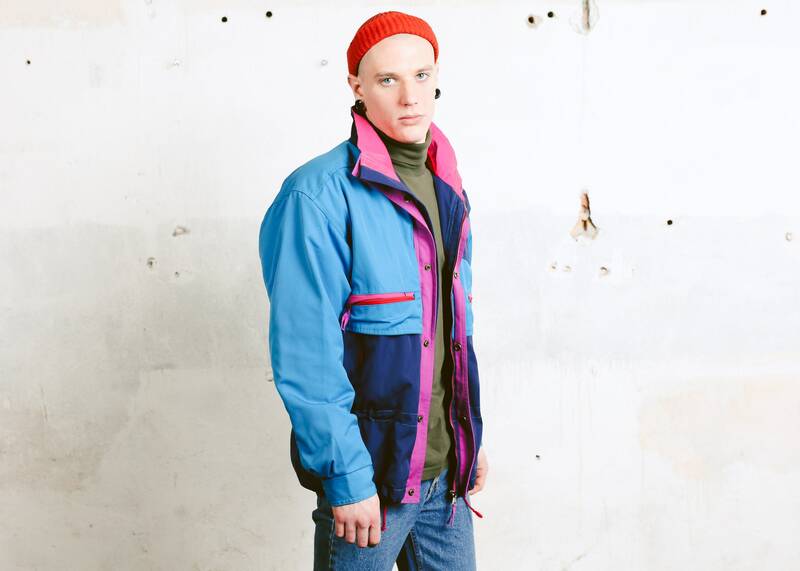 Easy to take care of, comfortable piece for winter sports or everyday wear. 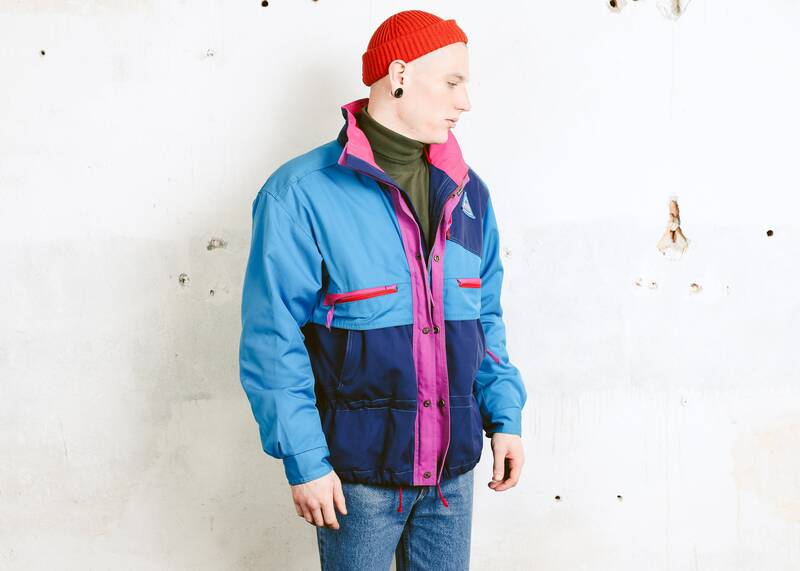 Model is 6"2 ft (1.88 m) tall and wears size available.